Former Secretary of the Department of Homeland Security Tom Ridge doesn’t want us to talk about the DHS releasing thousands of illegal immigrants from federal custody. More than 2,000 illegal aliens facing deportation had already been released and the DHS is planning to release 3,000 more detainees by the end of March, 2013. Ridge, however, thinks that it’s too much of a distraction for the American people and should not be discussed. “Story ends right there,” abruptly said Ridge. “Ditto,” chimed in Janet Napolitano. To the contrary, there is much more to the story. Notice anything missing? Apparently, Mr. Ridge didn’t consider “protecting national security”, “enforcing immigration laws” and “securing borders” essential enough to mention. Those particular duties don’t bring as many financial rewards as international commerce, installation of unnecessary airport scanners and the development of expensive software. As the head of the DHS, Ridge was responsible for the duct tape mania, when he infamously recommended that the citizenry obtain duct tape and plastic sheeting to seal their homes in the event of a chemical or biological attack. Truth be told, those primitive measures wouldn’t save any lives, but Ridge’s advice certainly helped Home Depot sell out of the inventory for those particular items. The store went so far as to set up special Homeland Security displays, touting duct tape, plastic sheeting, batteries, bottled water and other safe-room supplies. Home Depot stock reportedly went up every time Ridge raised the terror alert code to Orange (the system of color-coding was also his idea). It wasn’t much of a surprise when grateful Home Depot added Tom Ridge to its Board of Directors. Ridge also became a Board Director for The Hershey Company, serves as a senior advisor to an auditing firm Deloitte, as well as president and CEO of his own security consulting firm, Ridge Global. Ridge resigned from his post with the DHS to pursue opportunities within private sector. No one should doubt that all of those lucrative “opportunities” were already lined up before his resignation. After all, the infamous Malek Manual said that the government needs to be run as a corporation. Ridge learned that lesson well. Tom Ridge is currently serving on the American Action Forum with none other than Fred Malek himself. The sobriquet most often used to describe Fred Malek was “hatchet man”, because of his ruthlessness in ousting those deemed to be disloyal. Malek’s techniques included mandatory transfers and investigations against whistleblowers and outspoken critics of the establishment. For example, he reportedly ordered the FBI to conduct an investigation of a former CBS correspondent and Nixon critic Daniel Schorr, who was placed on the “Enemy List”. Fred Malek was infamously ordered by Nixon to count the Jews in high-ranking government positions. Malek completed this blatantly anti-Semitic assignment, compiling a list of government employees whom he believed to be Jewish. Shortly thereafter, these senior officials were transferred to other locations and less prominent, dead-end positions. Under questioning by Senator Carl Levin (D-Mich.), Malek admitted authoring a memo that suggested punishing politically incorrect people. Senator Levin described Malek’s role as “unethical, immoral and improper”. His legacy continued when the 2004 Securities and Exchange Commission (SEC) instituted administrative cease-and-desist proceedings against Malek, his company, Thayer Capital Partners and their affiliates. The SEC charged that pension investments in Malek’s company were used to reward a political supporter, William DiBella, former majority leader of the Connecticut Senate. Malek’s company was ordered to pay a civil penalty of $150,000, and he was personally ordered to pay a civil penalty of $100,000. Fred Malek’s career in government and politics didn’t end after his activities were exposed. He is the former President of Marriott Hotels and Northwest Airlines and has served as an advisor to four U.S. Presidents. As Fred Malek goes on with his political and financial exploits, the Malek Manual also continues its dark influence. It is said to be passed on to heads of government service upon the commencement of their tenure. Former head of the Office of Special Counsel (OSC), Special Counsel Alex Kozinski, kept a copy of the Malek Manual on his desk. Kozinski reportedly used techniques outlined in the document (such as transfers, investigations and harassment) to purge the professional civil service experts from the OSC staff. They were replaced with obedient minions who viewed whistleblowers as crazy, disloyal troublemakers. While serving as the head of the OSC, Alex Kozinski taught courses to federal managers about firing whistleblowers without getting caught by OSC investigators. For example, he tutored Secretary Watt how to get rid of a whistleblowing coal mine inspector from the Department of Interior, Jack Spadaro. Alex Kozinski’s abuses were the major catalyst for passage of the Whistleblower Protection Act (WPA) of 1989, and he was forced to resign. A few years later, 43 Senators voted against his confirmation for a seat on the Ninth Circuit Court of Appeals, after Senator Levin’s intensive investigation of Kozinski’s tenure as the OSC’s Special Counsel. In spite of the controversy surrounding his dubious OSC performance, Kozinski became the Chief Judge of the U.S. 9th Circuit Court of Appeals. 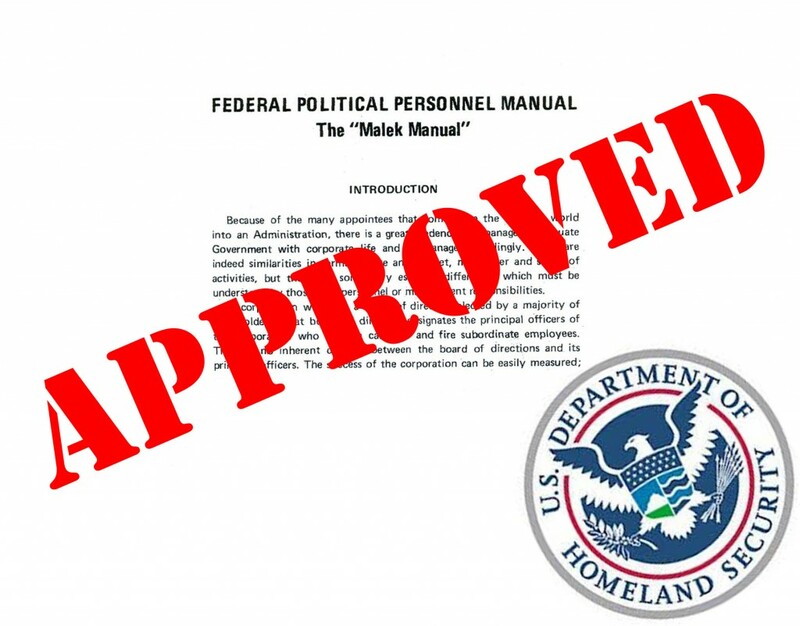 Techniques outlined in the Malek Manual are still being implemented within government agencies, with virtual impunity. In the meantime, Ridge and Malek want everyone to concentrate on the pending immigration “reform” they’re pushing through the American Action Forum. This self-described “business-linked advocacy group” wants to rewrite the law to largely do away with the immigration issue altogether. This millionaire-headed organization calls itself a “public charity” and solicits donations, as they would prefer that someone else pay for their activities. Their website features such priceless research as the comparison between the costs of the 2013 sequester and the amount of money Americans spent on beer in 2011. Some of the Board members of the AAF include Fred Malek, Senator Norm Coleman, James Barksdale of the Barksdale Management Corporation, Governor Jeb Bush, Elaine Chao (24th Secretary of Labor), Wendy Grubbs (Global Government Affairs for Citigroup), Tom Ridge and Bob Steel (former President and CEO of Wachovia). Ridge is not the only government official, who managed to parlay his former career into a number of lucrative business ventures, including Ridge Global. Homeland security is big business, with an estimated $200 billion in annual revenues. Michael Chertoff founded the Chertoff Group, former Attorney General John Ashcroft started the Ashcroft Group, former New York City mayor and presidential candidate Rudolf Guiliani hatched Guiliani Group. Who’s going to worry about our national security and immigration, when there’s so much money to be made? While the rich and powerful frolic in the fields of green, the average Americans are left to fend for themselves in a desolate minefield, trying to protect themselves from apocalyptic marauders endorsed by big government. It is the Zombie Apocalypse of a whole different kind.